Cedarwood essential oil has a woody, balsamic smell. It has subtle undertones of sandalwood, although arguably slightly dryer. Cedarwood is popular for use in meditation. The essential oil is extracted from the wood chips and bark of the cedarwood tree through the process of steam distillation. Cedarwood essential oil blends well with bergamot, lemon, lavender, cypress, frankincense, jasmine, neroli, rose and rosemary. 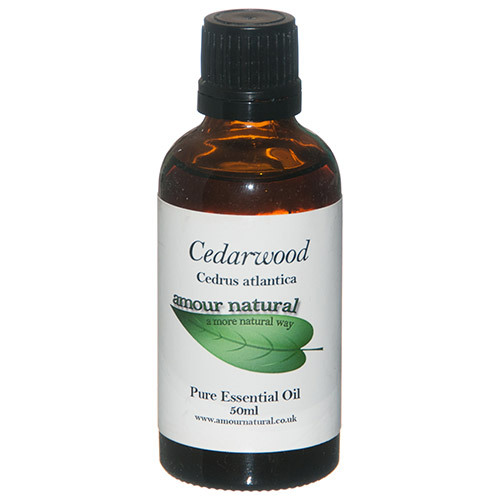 Below are reviews of Amour Natural Cedarwood Pure Essential Oil - 50ml by bodykind customers. If you have tried this product we'd love to hear what you think so please leave a review.